Chairman’s Update – Happy New Year! Well, the year draws to a close and at this time we all think what the coming year will bring us. We end the year in 8th position in the league and I think it is fair to say that with the promising start to the season and the results and the good team performances we experienced we are all a little disappointed that we are not closer to the league leaders. I know speaking to our manager, Steve Riley, on Friday when he organised a training session for the squad at HP that he isn’t happy where we are at present and he is working hard with the team to ensure we get a good start to 2017 with some positive results so that we can improve on last season’s final 8th league position. 2016 saw major work being carried out on our pitch. You will remember that last year we played Newcastle Benfield at HP on Saturday 28th November 2015 and with the weather and the condition of the pitch we never played again until Tuesday 19th January 2016 when we were at home to West Auckland. Work costing around £82,000 saw new drains installed and an irrigation system put in place and along with the resurfacing and seeding we now have a pitch of football league quality. The cost was met by the money left to us by Colin Rowell and a 50% grant from the Football Stadia Improvement Scheme. With all the speculation at the end of last season that Darlington FC would start this season at their new ground it turned out that in the end they played at HP until the beginning of December. Looking at the many comments on the Internet following their first game at Blackwell Meadows on Boxing Day whilst there were naturally some issues experienced hosting a 3,000 crowd at the first game I was very gratified to hear many positive comments from rank and file Darlington supporters about their experiences and their gratitude at Bishop Auckland Football Club hosting their games over a near 41/2 years. Over the 41/2 years that Darlington were at HP my fellow Director Terry Jackson liaised with the Darlington officials and established a good working relationship with all concerned and it was pleasing that we all experienced very few problems and on behalf of Bishop Auckland FC I wish Darlington FC every success in 2017 and for the future. In December we hosted the FA Youth Cup game between Middlesbrough and Rotherham United which the Boro comprehensively won to reach the next round and a home tie against Fulham which I am pleased to say will also be held at HP on Wednesday 11th January with a 7pm kick off. Once again it was very pleasing to receive positive comments from the Middlesbrough officials about the Heritage Park pitch and facilities. 2016 saw us strengthen the Board of Directors with the appointment of Steve Coulthard, Richard Cooke and Tony Duffy and we have been very fortunate to welcome Dean Maynard to lead our PR and media functions and Dave Mills to lead our commercial activities, in particular seeking out new sponsorship opportunities. Since the start of the season our supporters club has gone from strength to strength and the supporters club is a very good source of additional funding to support our football club so a big thanks to everyone for all your work in 2016 and we look forward to the new 500 Club being a success in 2017. Our Club couldn’t function effectively, especially on match days, without our ‘army’ of volunteers! So can I on behalf of the Board thank you all for all your work during 2016. Before closing I would just like to mention our colleague Brian Watson who is not too well at the moment. 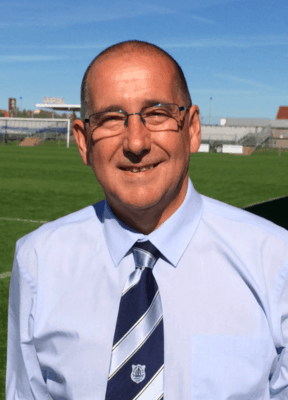 Brian played a major part in the pitch renovation project and is a very valued member of the Board of Directors so I would like to say that our thoughts are with you Brian and I hope it is not too long until we see you back at Heritage Park. 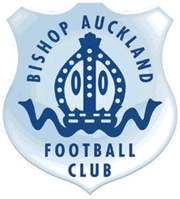 And so on behalf of the Directors of Bishop Auckland Football Club can I wish you all a Happy New Year and I look forward to seeing as many people as possible at Heritage Park on Tuesday for our first game of 2017 against Ashington.